This hack replaces the game’s anime portraits with portraits similar to the ones featured in Aria of Sorrow, drawn by Ayami Kojima. 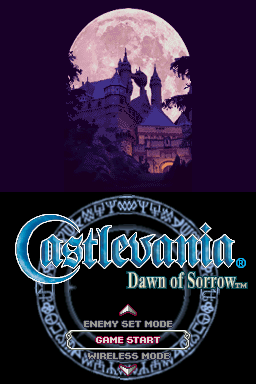 Some portraits are taken from other official Castlevania games, while a handful were drawn from scratch by acediez. This hack fixes the Luck stat, which originally had next to no effect on the drop rate of Souls, to actively influence the drop rate based on height. This hack removes the dependence on touch screen elements in the game. It removes the Seal drawing mechanic, skips the name signing at the start of the game, and enables you to break ice blocks with melee weapons. 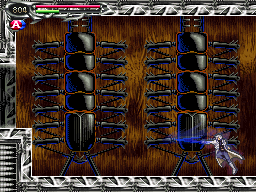 An issue in the original game is that, once the player uses the Souls of Gergoth, Death and Abaddon to forge new weapons using the Weapon Synthesis mechanic, these Souls no longer count towards the 100% Soul collection, making the Chaos Ring unobtainable unless he starts a New Game+ file and obtains these Souls again. This has been fixed by allowing the player to collect these three Souls twice per run. These Soul canisters are only there when you don’t have the respective Souls in your possession. If you (somehow) missed a canister and beat the respective boss, the canister will only return once you remove the Soul you obtained from your inventory. Craft a weapon with the Soul, and the Soul in the canister will return without issues. 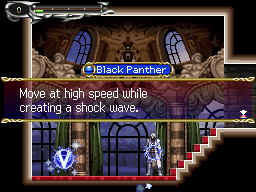 In the original, the Black Panther Soul, which gives you a huge speed boost and costs next to no MP, is found in one of the very last rooms in the game. This makes the Soul pretty useless. 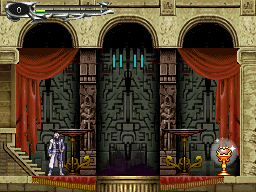 This hack places the Black Panther Soul in the room behind the Throne Room, a choice reminiscent of Aria of Sorrow. 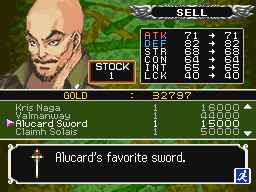 This hack makes the Alucard Sword obtainable without the player having to resort to the use of glitches. The Readme file of this patch contains two cheat codes, a Level 1 cap and a remove money code. These serve to enhance the replay value of the game, not to make the game easier. This hack is so freaking good, it fixes all the gripes I had with game! It’s so much better to have the Black Panther soul before going to the last areas just like in Aria. One thing that I’d like that they add is, separate patches for the custom portraits, and new stuff like the animations and items/souls.